Pu-erh tea (also written pu’er) is a dark tea generally produced in Yunnan, China. It is referred to post-fermented tea in the west and as black tea in Asia. This can create some confusion with what we generally call black tea (and people in Asia refer to as red tea). Pu’er tea is sold in loose leaf form and in bricks. It is typically aged before consumption and is labeled with the region and year of origin. It is also labeled with one of over ten grades, but these are not exactly consistent between producers. Different grades differ in flavor and many bricks will actually blend several grades to achieve a balance of flavors. As pu’er tea is gaining in popularity in the west, it can be found in most specialty tea shops or through a number of online vendors. If you are unsure where to begin, you can check out some of my recommendations below. While there are variations in the brewing methods for individual varieties, pu’er tea is traditionally brewed using the gongfu method. This method calls for a larger amount of leaves to be steeped very briefly. As a result of the short steeping times, pu’er leaves are generally good for ten or more infusions. If you’ve ever had a very bitter cup of pu-erh, it was likely brewed in the western style, meaning it was oversteeped. These traditional Chinese teapots are made from purple clay and come in a large variety of shapes and sizes. A traditional gaiwan works as well and is cheaper and takes up less space. The nice thing about both the yixing and the gaiwan is that they can also be used to brew most Chinese teas, be they oolong, green, white or black. If using an yixing, pour hot water over it to pre-heat it. If using a gaiwan, fill it about halfway with hot water and tilt it a bit so that the water creeps up the side and then rotate it so the inside gets wet all the way around. Then pour the water out. Do the same for any tea cups. The amount of tea to use depends very much on personal tastes. As a good starting point, put around 2 teaspoons of tea leaves in your gaiwan or yixing (assuming it holds 4 oz or 114 ml of water). Pour enough hot water into the vessel to just cover the leaves. Discard the water after 2 seconds. This will rinse the leaves. If you are using a ripe pu’er (see below for info), repeat this process one more time. Fill the gaiwan or yixing with hot water. The temperature should be around 95ºC (203ºF) for regular varieties and 85-90ºC (185-194ºF) for high-quality aged varieties. Place the lid on the vessel and let the tea steep for 20-30 seconds. Then pour the tea into the cup(s) for drinking. For each subsequent infusion, add 5-10 seconds to the steeping time. 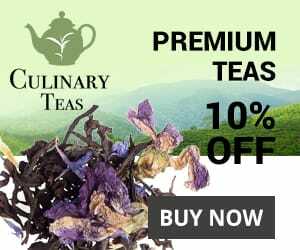 You can generally get more than 10 infusions out of pu-erh leaves. The higher quality the tea, the more infusions it will give you. Use the amounts given in these instructions as a rough guide. If you find the resulting tea too weak, add more tea leaves; if it is too strong, reduce the amount of leaves used. Similarly, try increasing or decreasing the steeping times. Basically, you’ll want to keep experimenting until you come up with the perfect brew for your particular taste. There are two main types of pu’er tea: Sheng Cha (raw tea) and Shou Cha (ripe tea). 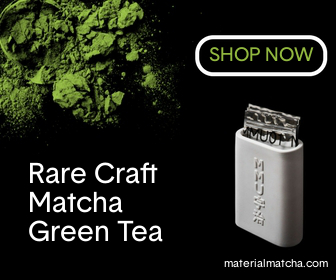 Both begin as Mao Cha (rough tea), a very lightly oxidized “large-leaf” green tea. This Mao Cha can be sold directly as loose leaf pu-erh, it can be compressed immediately to produce Sheng Cha or it can be aged first, then compressed into Sheng Cha. It can also be turned into “ripe tea” (Shou Cha), using a relatively new process that approximates the result of the traditional aging process. Some traditionalists dispute the legitimacy of this new (developed in the 1970s) procedure. However you feel about that, it produces teas that are quite different from the traditional Sheng Cha variety, but also much cheaper. The most convenient place to buy tea for most people is Amazon.com. You won’t generally find the highest qualitiey varieties here, but they have a few good options when it comes to ripe pu’er (Shou Cha). This 2010 Longrun Pu-erh Tea from Dali in Yunnan is a good buy, as is this loose leaf compressed variety that comes in a bamboo leaf tube. I have not found a good Sheng Cha (raw tea) on Amazon. Generation Tea specializes in the highest quality Chinese teas and they have an exceptionally large selection of Pu-erh. Unfortunately, you have to deal with their hideous website, but in this case it’s worth it. Their selection ranges from teas that cost $10 to one from the 1930s that costs $30,000 (yes, you read that correctly). Check out their selection for yourself. With so many options, it can be hard to pick one. The descriptions generally give you a good idea what to expect from each tea and should help you make a decision. The older the tea, the more it will cost, so you can save a lot of money by buying a younger tea and letting it age yourself. You could also make a lot of money by reselling it once it has aged. Quite a few people buy pu-erh teas as an investment. If you want some recommendations, this loose leaf raw (Sheng) pu’er from the 1980s is excellent and quite affordable. If you’re looking for a good pressed tea you can either drink now or let age for a few years and that doesn’t cost too much, this 2004 Grand Red Label Raw Beeng Cha is a great choice. It is young, so it will taste bitter if you drink it now, but using very short steeps will reduce the astringency. Or you could let it age first. If you want a tea that should make a great investment, try the popular Green Beeng Cha from 2002. A cake sells for $350, while a cake from 1995 sells for $1200. Perhaps the best value purchase you’ll find online is this Pu-erh sampler from Teavivre. It features small samples of 5 great pu’er cakes for $20 (and it’s often on sale for even less). This is a great way to try several types, both ripened (Shou Cha) and raw (Sheng Cha) and find out which best suits your tastes. Teavivre has a pretty large selection of Pu’er teas overall. If you are looking for a loose leaf variety, this Yunnan Palace ripened loose pu-erh is a good option. For a ripened cake, try this wonderful 2013 Fenqing Golden Buds Cake or these cute little ripened aged mini Tuocha bricks. If you prefer a raw pu’er, you can’t go wrong with this 2013 Xi Gui Ancient Tree Raw Pu’er Cake. Of course, there is also the smaller raw mini Tuocha option. For more on pu-erh tea check out the Wikipedia page. I’m Roger from Sun Time Tea Company, I’m very glad to contact you! Our tea garden is located in Anhui, and our office is located in Wuhan, Hubei. We have developed all types of fine Chinese teas and tea accessories through many years. Welcome to visit! Hi, my name is Greg im 45 been farming most of my life so i got to stay some what healthy to show these young punks how to work. Anyways i had some kidney probs, quit coffee and started drinking tea and Wow never new what i was missing, love it best thing i ever done. I feel the same. I was never a big coffee drinker, but I did sometimes drink soda. I feel much better drinking tea instead.